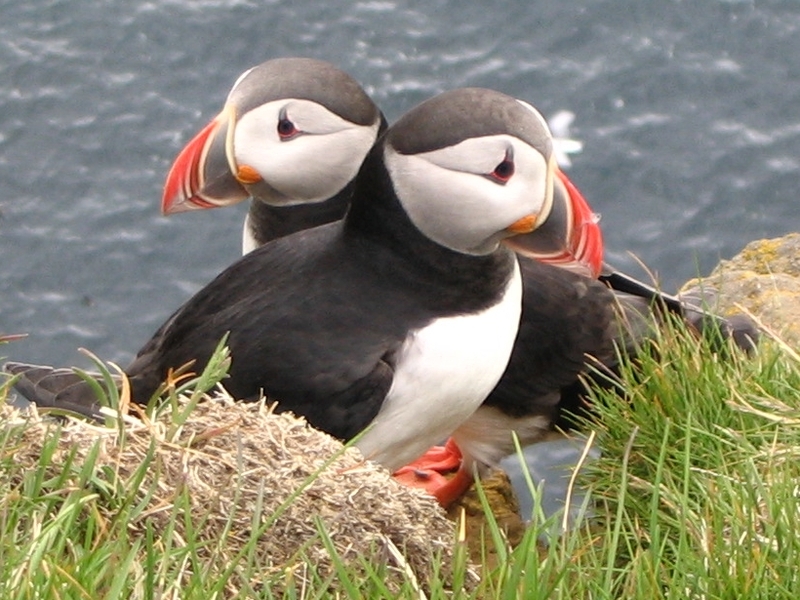 Atlantic puffins live at sea far from shore most of their lives. In the spring and the summer, thousands of puffins gather in colonies on the coasts and islands of the North Atlantic Ocean. Pairs often mate for life, locating one another at their breeding colony year after year and nesting in the same burrow as previous years. 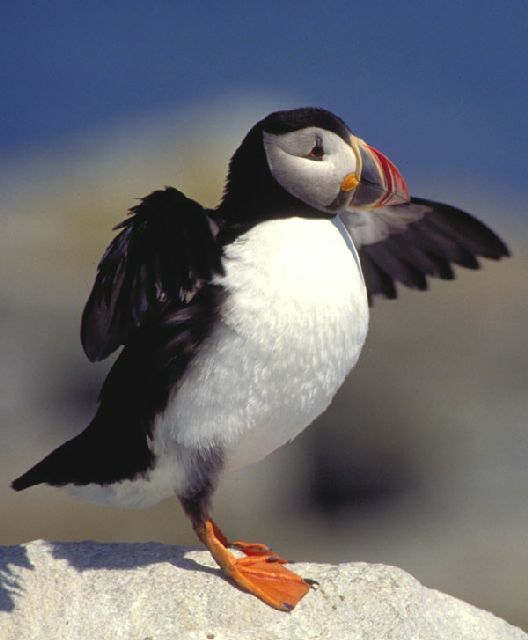 Puffins “fly” through the water, using their wings as paddles and their webbed feet like a rudder to steer.